When is comes to the hottest industries for MBA graduates, real estate tends to fall lower on the list. But an analysis of english essay checker revealed some lucrative opportunities in real estate for graduates interested in seeing their work reflected in physical spaces. The average salary of an MBA graduate entering the real estate industry is above average at $123,700 (80th percentile). While the average signing bonus is low at $8,000 (25th percentile), large average bonuses makes up for that fact at $73,000 (91st percentile). While some industries offer MBA graduates extra compensation in the form of stock, that practice is not common for employees in the real estate industry. All in all, the average starting total compensation for an MBA graduate position within real estate is a generous $209,500 (80th percentile). In addition to a competitive salary, MBA graduates in real estate enjoy a fair work-life balance. At 52 hours per week, time spent working in the real estate industry is on par with averages for all MBA graduates. Additionally, the percent of time spent traveling for these positions is just under half of other industries at 12%; although employees at certain companies with international portfolios (such as Colony Capital) reported upwards of 80 hours per week. MBA graduates interested in real estate probably have their eyes (and portfolios) on many cities, but positions for this industry are concentrated in large financial centers such as New York and Chicago. Working in real estate can be tough work, which may contribute to the overall low satisfaction scores noted by MBA graduates. At only 5.3 out of 10, average happiness is 20% below the average score of 6.7 out of 10 for all MBA graduates. Recommendation and culture also receive below-average scores – both 5.7/10 – with the culture rating falling 16% behind the average for all other industries. There isn’t a grey cloud over the entire real estate business, though. Smaller companies such as Terranum (an international real estate investment firm focused on Latin America) ranked highly in culture and satisfaction, highlighting the importance of finding a good cultural fit with an employer. To see a full list of popular employers and their satisfaction ratings, visit our Career Explorer. Of the MBA graduates entering real estate positions, 90% are men and 10% are women. Not only do men outnumber many times over, they seem to have a better time as well. Male MBA graduates working in real estate reported a decent average culture score of 7.5 out of 10. However, female graduates rated their company culture at only 2 out of 10. This disparity may expand beyond firm-specific issues, as overall happiness scores of women were less than half that of men – 3/10 versus 6.5/10. MBA intern salaries in real estate are about 20% below average at $77,848 and total compensation is $22,000 below average at $81,796. Despite lower-than-average wages, MBA interns in real estate reported happiness and culture scores above their full-time counterparts. Interns in the industry also enjoy on average 5 hours of work less per week, and less than half of the travel expected of full time MBA employees. Just as the MBA real estate industry is more niche than other sectors, the functions typically pursued by MBA graduates are narrow as well. Up to 60% of MBA graduates interested in real estate work in private equity, with the rest split almost even among investment management, investment banking, and project management. For information on the typical starting salaries in these functions, view the Career Explorer by signing up for free. Companies that are popular for MBA graduate jobs in real estate may not be household names, but that doesn’t mean that they don’t present opportunity. A few choices for MBA grads can be compared below. Most MBA positions in real estate firms carry the title “Associate” or “Analyst”, but the duties, salaries, and benefits can vary between companies. To see a full list of employers and positions in the industry, visit our Career Explorer. While the real estate industry may not boast the highest salaries or satisfaction ratings, it is still a lucrative industry full of passionate individuals. 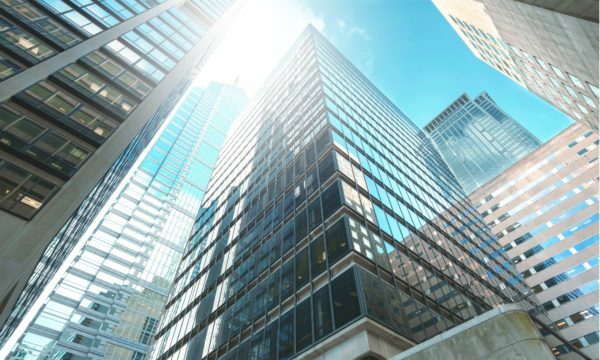 Real Estate concentrations in MBA programs are sometimes small, but often offer unique experiences. For example, Columbia students have access to 65 exclusive case studies that are taught by the individuals who managed the transactions. If you would like real world experience integrated into your school experience, consider the University of North Carolina. Their Kenan-Flagler business school is home to one of a few student-run real estate investment funds (that also happens to currently have $3.6 million in funds). There are also indications that MBA real estate programs are at the beginning of a boom-cycle. The director of the Baker program of Real Estate at Cornell said that the number of applications for the program have been growing 30% year over year. Additionally, 2/3rds of Wharton’s current class is enrolled in a real estate finance course. When it comes to growth in real estate programs, schools are putting their money where their mouth is; Georgetown invested $10 million in their “Real Estate Center”. In the case of MBA real estate degrees, it’s a great time to invest.